Believe it or not! I am back! I am sorry about my little hiatus! I got really overwhelmed with Craft fair items and didn't attempt to have a normal life blogging/ creating or managing the house. However, I slept on it and needed to see my people, so here I am! 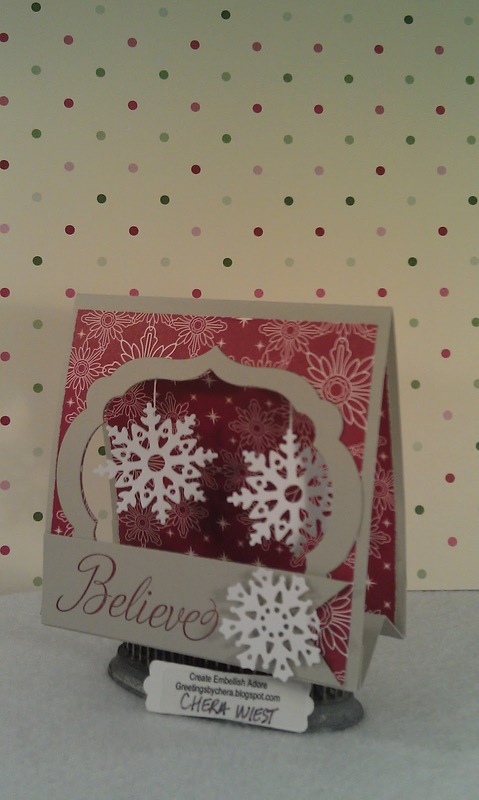 So how about a fun snowflake card, I say as the temperatures were 70ish degrees a few days ago.... seems alittle silly in December. 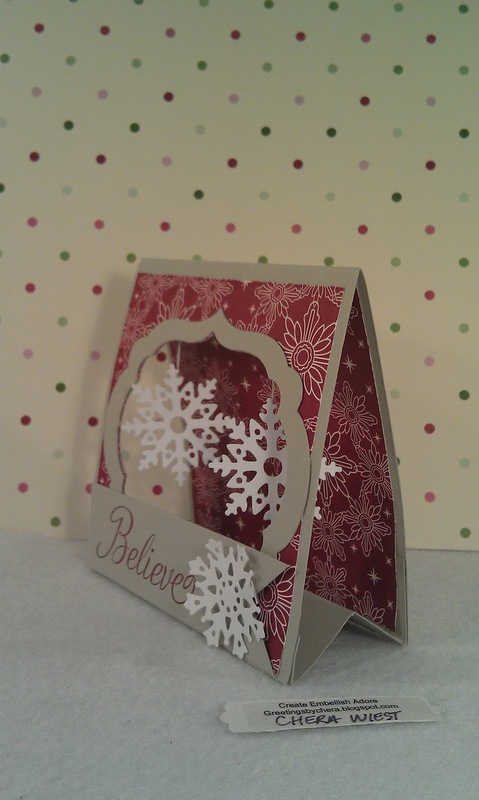 I used some paper that I wasn't sure ever would get used in the dsp pack. Guess there is one in every bunch. I made this more of a diaroma card, for the full effect of the snowflakes in the air. 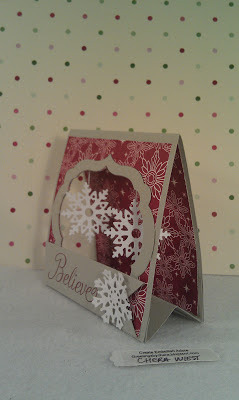 Here I used Sahara Sand as my cardstock with the DSP. I use the Apathocary Accents and the snowflakes from Northern frost, hung by dental floss. It folds into a 4 x 5 card... so it can still ship USPS! Thanks for stopping by! I hope to hang out again soon! Have a great day! Hug the ones you love! 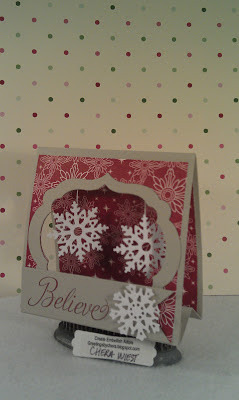 this card is awesome, love the hanging snowflakes!